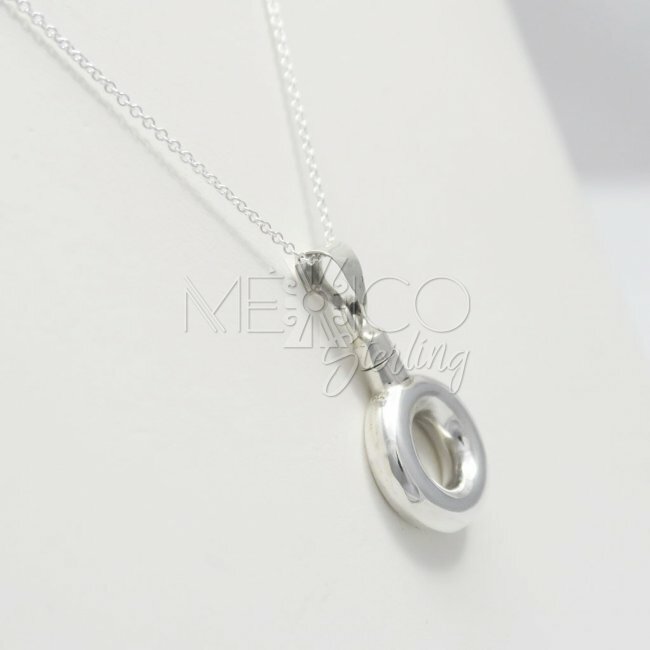 Silver Donut Perfume Bottle Pendant [PND3375] - $25.00 : Mexico Sterling Silver Jewelry, Proundly from Mexico to the world. 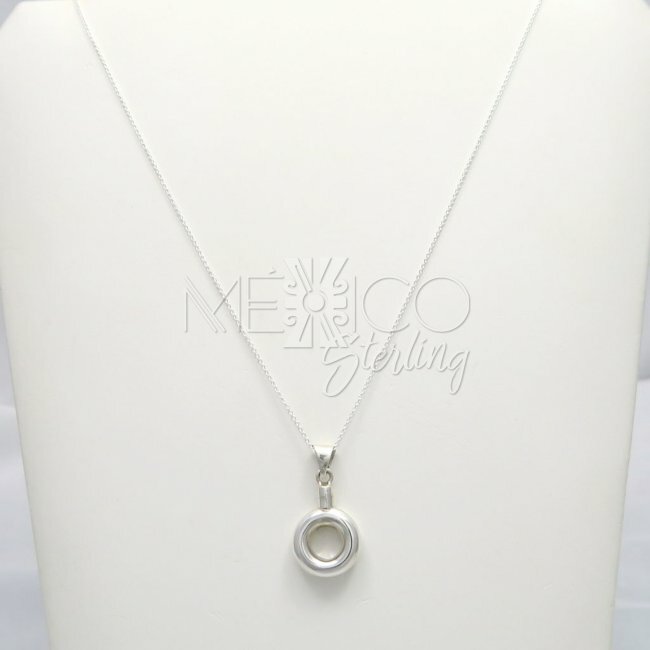 Dimensions: W: 3/4" L: 1 3/8"
Unique Taxco silver pendant with an original twist. 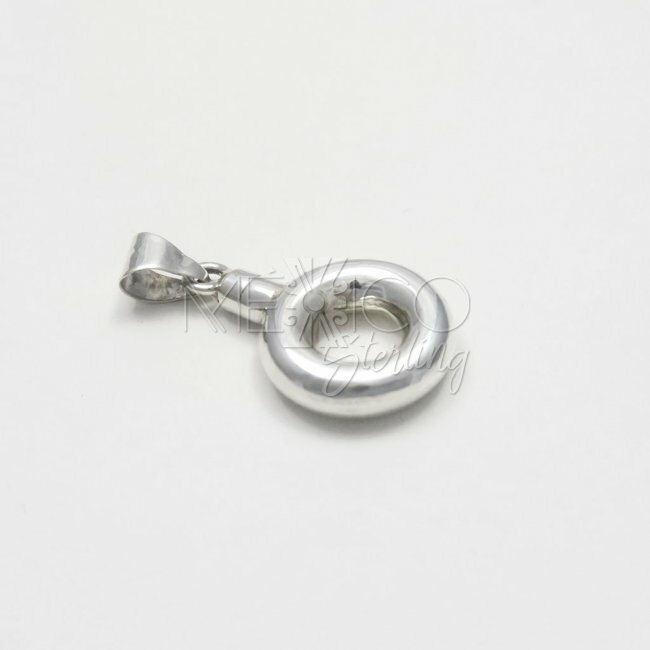 This is a beautiful, delicate and very useful piece of jewelry, that combines good looks with functionality! 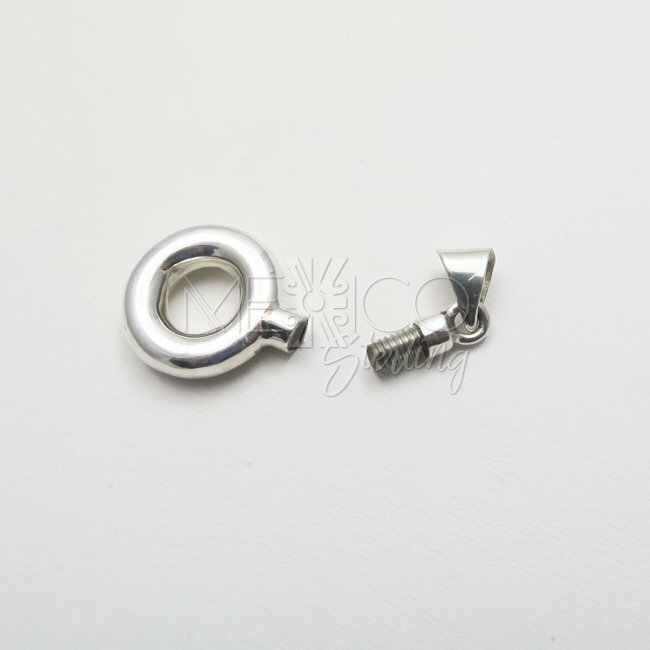 Everything on this silver piece is beautiful, the shape of a donut, and the screw open top is a nice surprise that really stands out in the whole design. 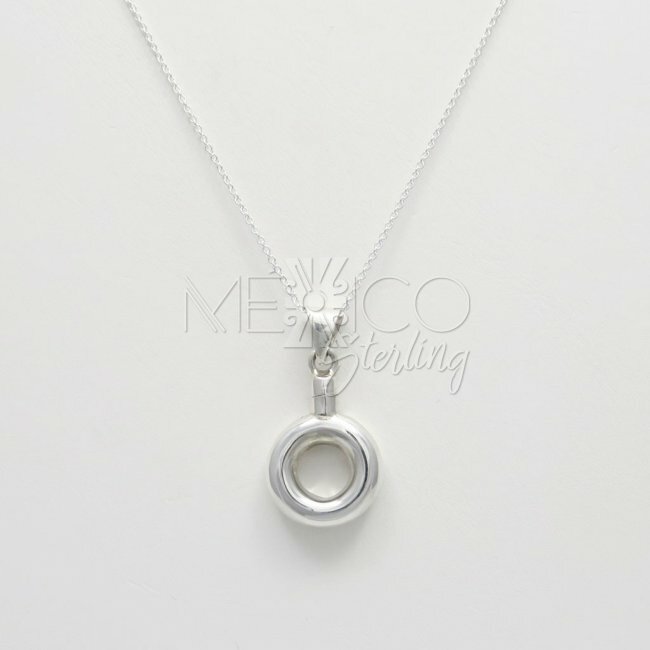 You can use this cutie for carrying a little bit of perfume, so you do not have to carry the whole bottle in special occasions. 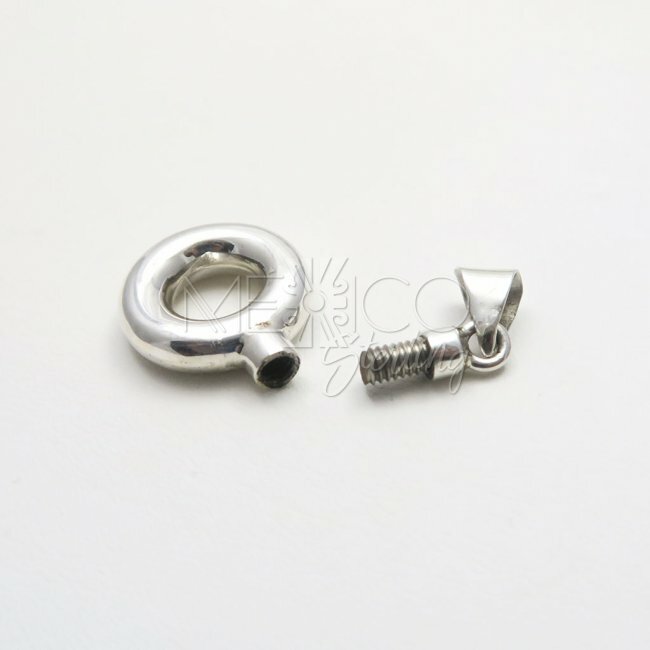 It is for sure a very nice and unique gift for that special someone. 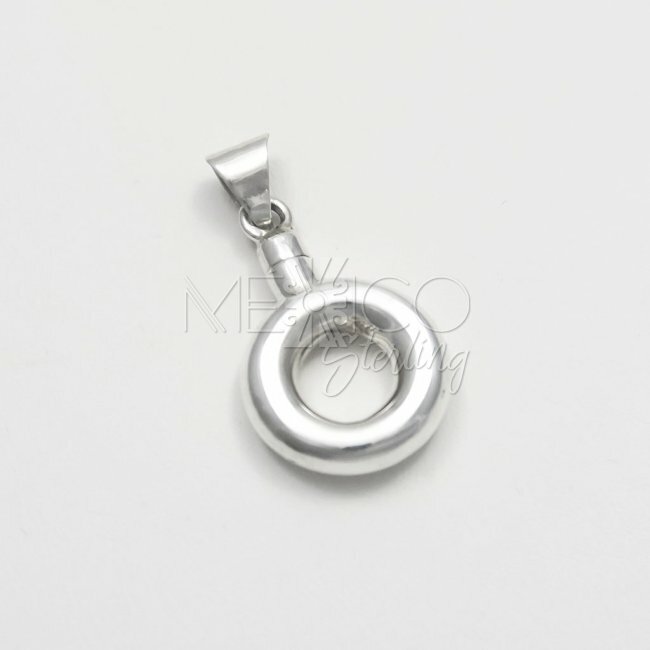 It is pretty sturdy and substantial in weight for its size, it is also beautifully finished. 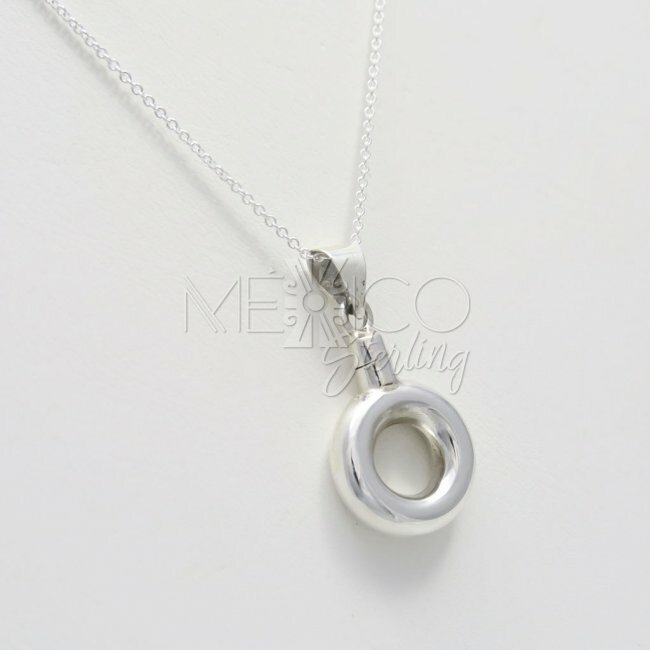 The silver chain shown in the photos, is not included on this listing.